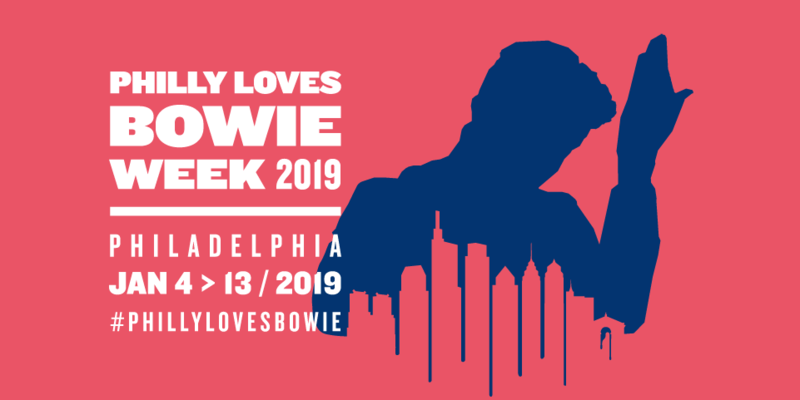 The Philly Loves Bowie Week is an annual volunteer production of a family of fans of the Starman … folks who felt it was important to gather together as a city to celebrate a truly one-of-a-kind performer as we mark both his birth date and the one-year anniversary of his passing. The core group that has worked to bring this week into fruition are Patti Brett, Greg Shelton, Marla Kanevsky, Mary Dunham-Smith and Robert Drake. There are countless more that have worked their magic to make this week happen and a heartfelt and gracious thank you to each and every one of them! So that’s the who – but what about the ‘why’? Why has a handful of Bowie fans gathered together to organize a week+ long celebration of The Thin White Duke? Picture it – Philly, early 1970s. What prompted Patti to get this ball rolling was the need to honor David’s life in some way. When he left us, everyone kept asking Patti what she was going to do, since doing nothing was NOT an option. She promised, when the time felt right, she would put together a memorial service, which is when she reached out to everyone to help come up with some ideas to get the public involved. That’s when things took off and Philly Loves Bowie week was born. Besides a week+ of events and activities designed to celebrate the man and his unique spirit – we wanted to make sure that we could use this week as a portal to raise awareness and funds to help benefit cancer research in David’s memory, and who better to benefit than children … and when it comes to caring for children, there’s no place better than the Children’s Hospital of Philadelphia. While no one should have to go through cancer, it seems especially cruel when it happens to a child. So, at every event during the Philly Loves Bowie week, we will work to raise both funds and awareness through the magic that is David Bowie. As the Starman said himself… let all the children boogie!! Now it’s Philly’s turn to show the love – since it’s obvious that Philadelphia does indeed love David Bowie!